Exceptional customizable experiences for families await this season at Bianca Sands on Grace Bay, located in Turks & Caicos and managed by Trust Hospitality, offering guests their own holiday island away from home, a Caribbean-style cooked turkey, and luxury amenities designed to create the most unforgettable memories with loved ones. Travelers looking to experience the Caribbean warmth during the holiday season can take advantage of a special holiday offer. From now through December 20, guests receive the 5th night free when booking a total of 4 nights, a welcome gift including a Bambara Rum Cake and a bottle of Bambara Rum for two, and a turkey. Bianca Sands’ guests can arrive at a fully stocked kitchen with items of their choice including fresh produce, wine and beer, as well as a private Chef Dinner experience perfect for a Thanksgiving holiday meal with family and friends indoors or in al fresco setting. The team at Bianca Sands is happy to provide a grocery list request form prior to the guests’ arrival. For a unique taste of the Caribbean, guests can also enjoy the flavors of Provo’s renowned international restaurants located within walking distance of the resort serving holiday meals combined with authentic island dishes. Luxury accommodations at the resort are endless with studio, one, two and three-bedroom oceanfront suites as well as a remarkable penthouse suite perfect to host families and groups. Suites are uniquely decorated and feature all the amenities of a home, including a fully equipped kitchen, in-suite dining service, and luxury bed linens, among others. For multi-generational families or groups of friends needing a little more space to call their own, the resort features a four-bedroom, four-and-a-half bath penthouse suite with incredible views overlooking Grace Bay beach. This 5,930 sq. ft. suite comes complete with a state-of-the-art Chef’s kitchen, gym, a children’s room equipped with two twin bunk beds, full access to all the resort amenities, and additional luxury touches such as a private chef upon request and a dedicated concierge to assist with the guest’s festive needs. Guests of Bianca Sands can experience the tranquil surroundings of Turks & Caicos’ breathtaking Grace Bay Beach, perfect weather year-round, authentic character, its culture, as well as enjoy the resort’s newly renovated infinity swimming pools, two Jacuzzis, Italian inspired courtyard, poolside bar, fitness center, and lighted tennis courts. The resort’s concierge can recommend a variety of recreational adventures such as scuba diving and snorkeling trips, parasailing, Sunset cruises, wakeboarding, kayak, and island excursions. 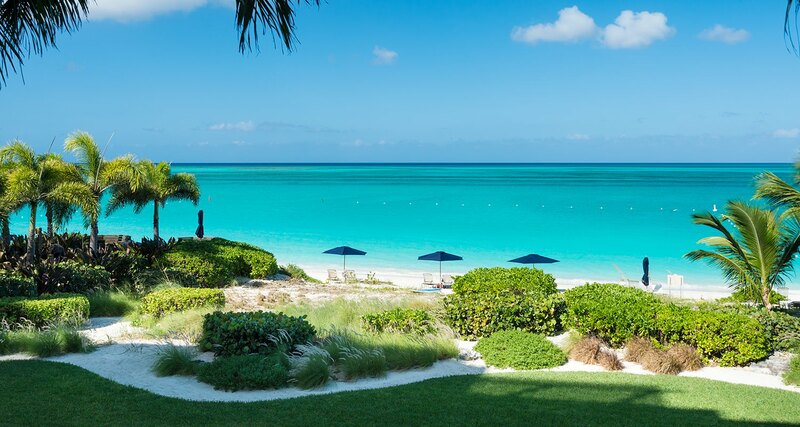 Getting to Providenciales is convenient and easy with direct flights from major U.S and international carriers including Miami, Ft. Lauderdale, Charlotte, Atlanta, Dallas, New York, and Chicago. For additional information or reservations at Bianca Sands on Grace Bay, visitwww.biancasandsresort.com, call 1-877-380-5750, or email reservations@biancasandsresort.com.